Former chief of People's Parliament Abdulla Shahid and Member of Parliament for Kinbidhoo constituency Abdulla Riyaz have been apprehended and placed inside the police vehicle. 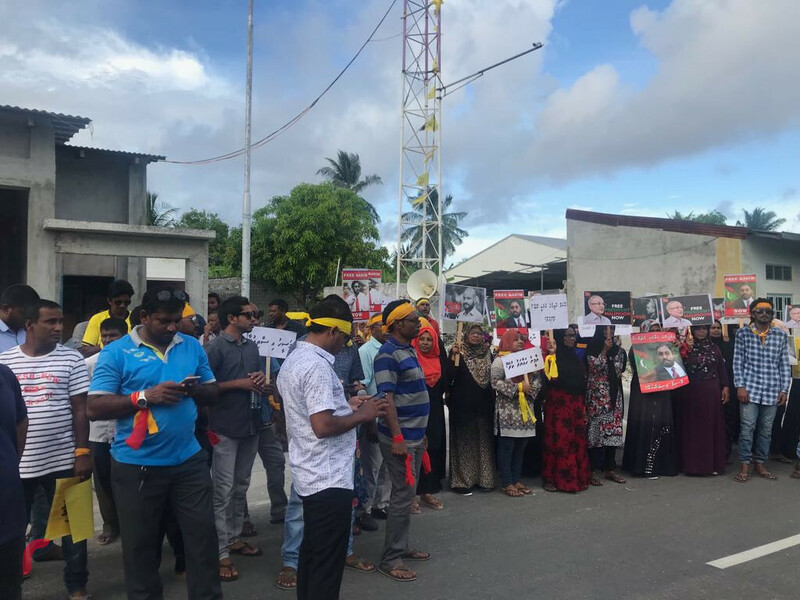 Imthiyaz Fahmy speaking to RaajjeTV from the ongoing protest has thanked everyone who has taken to the streets to fight for the rights of the citizens. He further calls for everybody who can, to join the ongoing protest. He expressed his concern over the arrest of officers who have gone against the government going on to say that to this day, never have so many officers been arrested all at once. 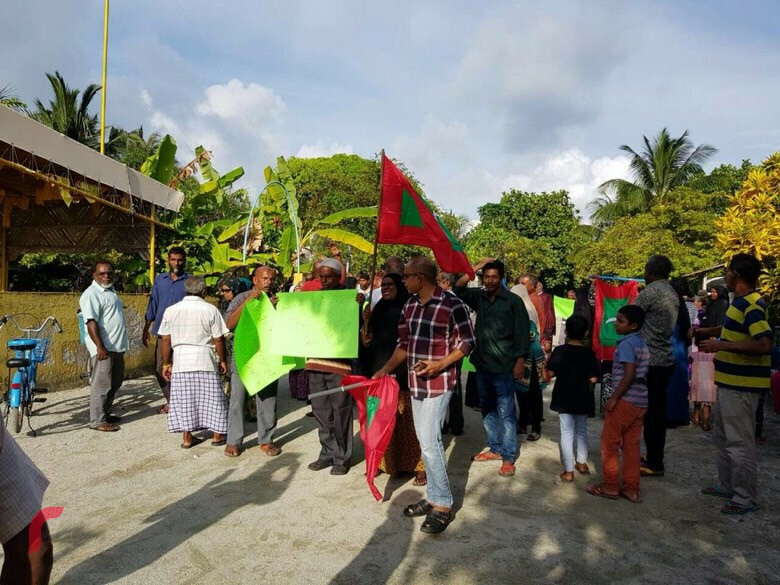 Almost the whole nation has taken to the streets to call for the lifting of the SoE declared by President Abdulla Yameen. 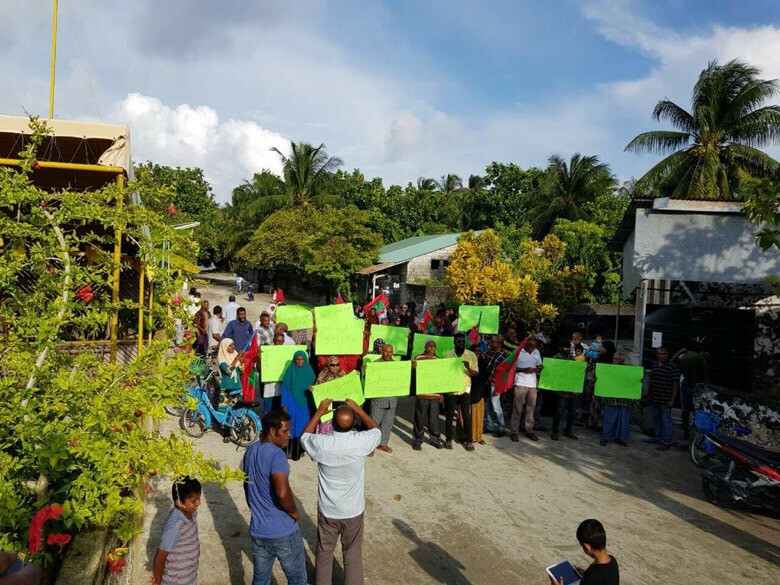 Larger crowds are seen gathered in some extensive atolls. While the SO officers are using excessive force to disperse the crowd, some individuals are seen injured and severely injured individuals are being taken to the hospital. Athough the SO officers are using a copious amount of pepper spray on protesters, they remain steady and unfaltered. When dispersed from one district protesters gather in another and continue their protest. 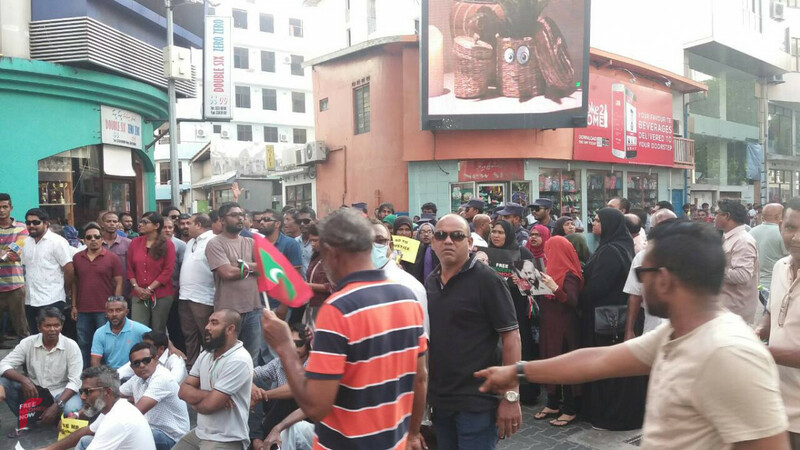 Protesters are increasing in amount in some areas and police are working to control the growing crowd. 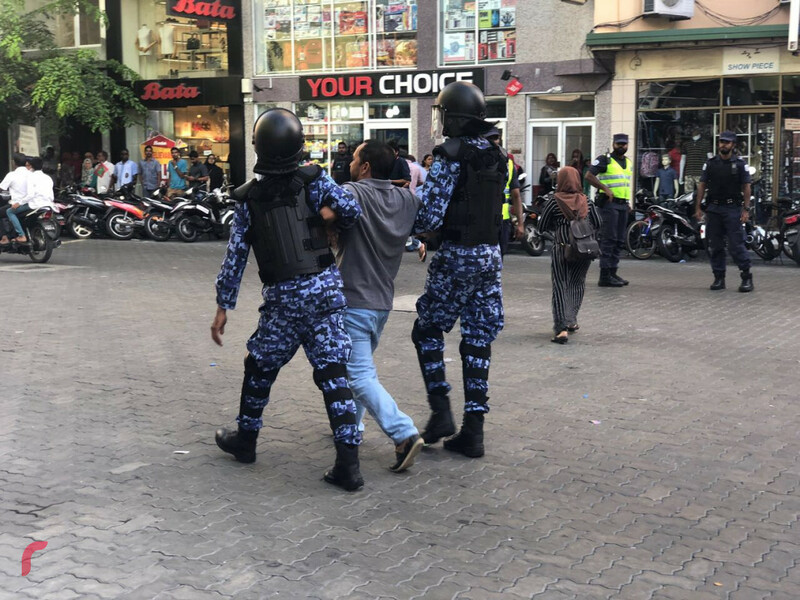 Dhihdhoo MP Abdul Latheef Mohamed has been apprehended and placed inside the police vehicle, from the Chaandhanee Magu and Majeedhee Magu intersection. SO officers are seen pepper spraying the crowd. Individuals are being arrested and some are seen injured due to this. 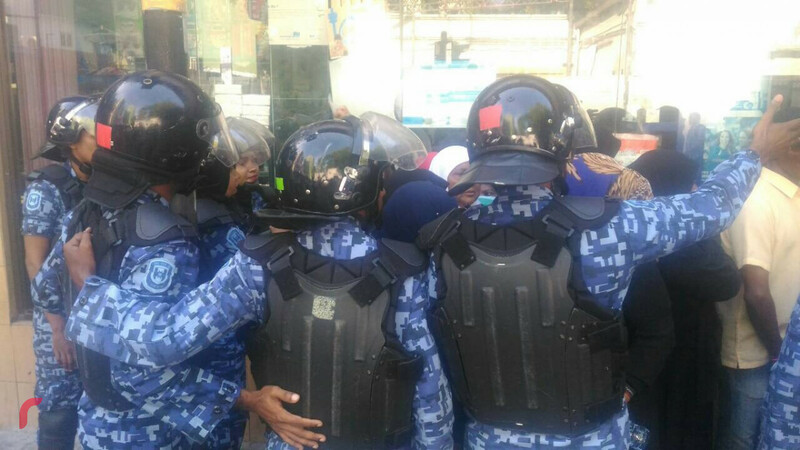 Police have used excessive force to control the crowd, a protester has been seen grabbed by the neck by officers. Many are active in Majeedhee Magu even on Motorcycles. The crowd is seen growing as the protest intensifies. Special operations officers are active in the area, they are seen carrying shields. 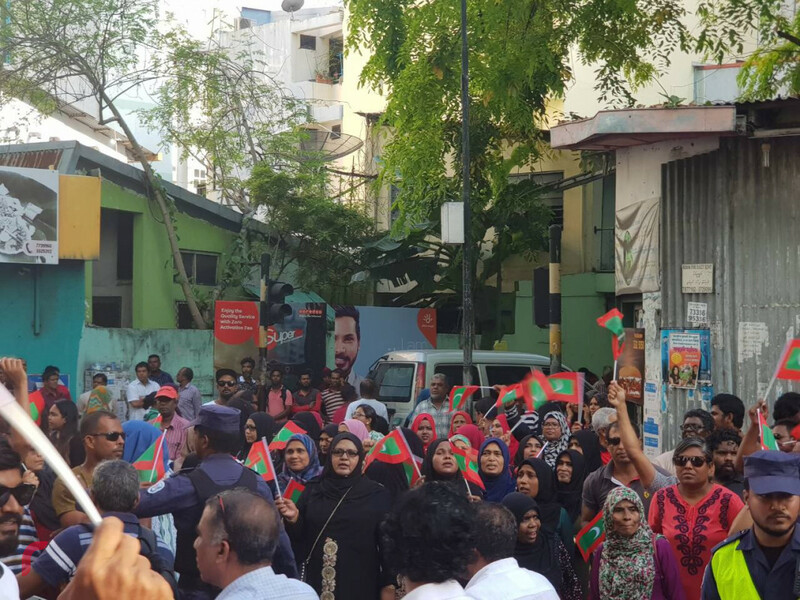 Supporters of the 'Joint Opposition' have been gathering different parts of capital city Malé, along Majeedhee Magu. 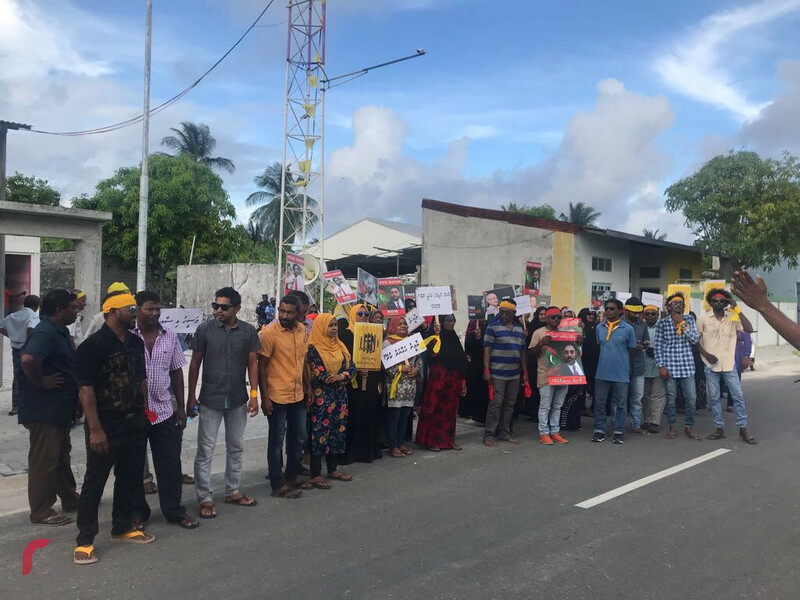 They are calling for the state of emergency to be lifted, those arrested under its authority to be released, and for incumbent President Abdulla Yameen's resignation.